Employee involvement is considered as an active quality management (QM) principle, once: it is related with a key asset of organizations—the human resource; it is the base to implement the other QM principles; and it is linked also with the customer satisfaction. This paper discusses this QM principle, since it definition, the relationship with the others principles and the TQM fundaments, putting the focus on real context practice that could be promoted to implement it in a systematic and efficient way. Was developed a case study, an intrinsic study, in an automotive Original Equipment Manufacturer (OEM) where was performed a project designated Quality Box (QB). The research has as main contribution to support the QB implementation project, in a real case context, highlighting the bridge between industry and academy. Contributes, also, to the dissemination of real good set practices integrated in the QB project, which could inspire other organizations. 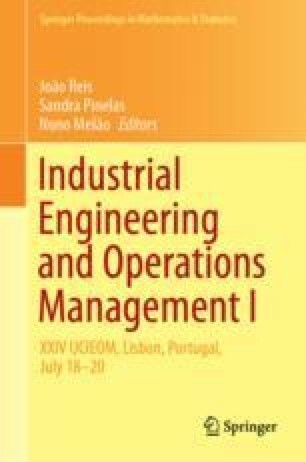 The originality of this work is justified by the relation that is established between the implementation of QM principles with the quality management approaches and its dimensions. Focusing the importance that all activities related to quality management, need to know, understand and integrate a multiple approach of quality. The work also highlights the relevance of employee involvement in the Digital transformation era, concluding that more automated processes require more “humanized” workers.